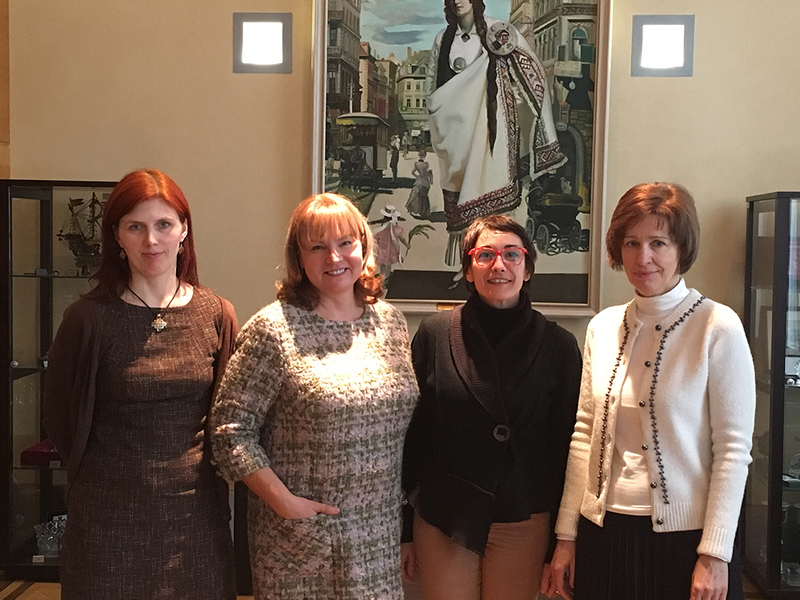 On 15th-16th January 2019, Corinne Monnet, AIVP Network Coordinator and Chloé Colboc, Project Manager – Promotion & International Relations, had the pleasure of visiting Riga, the capital and principal port of Latvia. The object of their visit was to progress the technical organisation of the 2019 Annual General Meeting and the AIVP Days scheduled for 6th and 7th June this year. The event is being organised jointly with the Port of Riga, which has been an AIVP member since 2006. The AIVP delegation was warmly received by par Ansis Zeltiņš, Chief Executive Officer, Edgars Sūna, Deputy Chief Executive Officer for Port Development matters and Irina Gorbatikova, Director of Administrative Department. On their visit they were also able to meet Sandra Liepina, Head International Cooperation and Coordination Division Foreign Affairs Office for the City of Riga, and her assistant, Marika Barone, who were very interested in the AIVP missions and in the organisation of our international event this year. The AIVP delegates visited the sites for the Meeting and the Gala Dinner, and some of the hotels available. This information will be circulated to participants and speakers very shortly. They also discussed the programme for the Cultural Day on 8th June with MEET RĪGA. MEET RĪGA is the official convention bureau of Riga city and a department of Riga Tourism Development Bureau. The AIVP Days website and other information will be available in the coming weeks!